Only know it's a Lecithoceridae sp. That's about as far as I have progressed as well. This species has been fairly frequently encountered by Mark Sterling on HK Island and at Kadoorie Farm. I need to check what I assigned as a morphospecies label for this species (Lecithocerinae gen. & sp. indet. [X] where X is a capital letter in the range P to V). This group is very diverse in HK, with over 20 undescribed species. China is the global headquarters for this family. The larvae are detritivores. 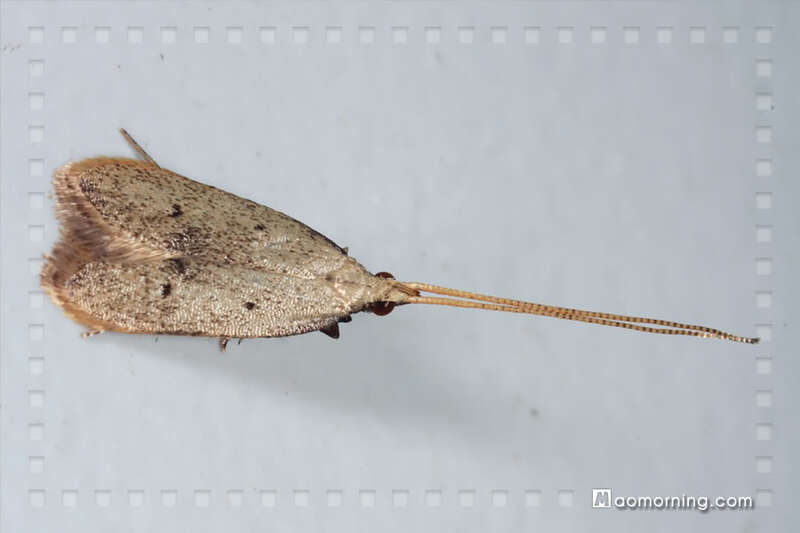 The flattish resting posture and very long, forward pointing antennae is a characteristic combination that allows easy diagnosis of the lecithocerid subfamilies Lecithocerinae and Torodorinae (although, as with most moth families, there are a few exceptions). yes, but I need to go through some texts to try and figure which one. Lecithoceridae sp. D of my thesis. Still unidentified to genus and species. Lecithoceridae sp. D of my thesis. No further work yet to identify genus and species.